I wish I was a Certified Pomodoro Master, but I am not. Quite far from it. Dear sisters, you might be wondering what in the world is a Certified Pomodoro Master. Am I trying to master some ancient form of jiu jitsu? No, it is much harder than that. 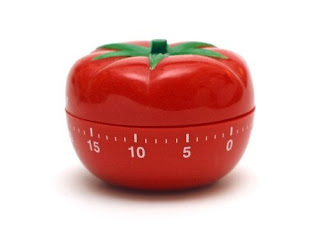 The Pomodoro is a time management technique. If like me, you balk at the sight of your to-do list but groan at the thought of time management, the Pomodoro is a technique that might make most tasks more manageable and indeed, more enjoyable. The Pomodoro, a technique I have been flirting with for some time now, asks us to choose a task that requires concentrated attention. For example, learning a Hadith or Surah, doing your taxes, or writing an article or essay. We will then set the timer for 25 minutes and work uninterrupted on the task. Thereafter, we will take a short 3 to 5 minute break before returning to the task. Every four cycles (2 hours counting breaks), we should take a 25 minute break. Managing interruptions is the difficult part. Technology is a big culprit. In our culture of constant communication, it takes some courage to cut oneself off from the world. However, once you gather the nerve to remain incommunicado for 25 minutes, it is simply a question of pressing that off button on your phone and disconnecting your Wi-Fi. External interruptions are, however, the most difficult to manage. For me, whether I am living with my family or with my in-laws, an uninterrupted 25 minutes is very rare. I have had uncomfortable conversations with elders telling them by what time and for how long I can speak to them. I am considering posting a sign on my door, though I have not had the courage to do so yet. 1. It is most effective with activities that require concentrated bursts of attention, such as memorizing Qur’an, writing, or administrative work. 2. For the workaholic, this technique can help avoid burnout. 3. For the less motivated, it can help spur action since there is always that five minute break to look forward to. 4. As suggested on the website and in the book, which you can download for free here, it can help break down daunting tasks, such as writing a book or an essay or drawing plans for a house. 5. 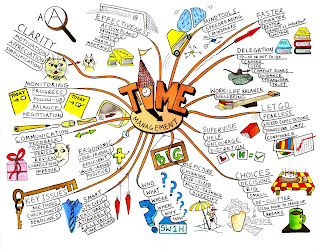 It focuses attention on one task at a time rather than squandering it on many. 1. Some tasks might require an uninterrupted flow of consciousness. For example, when I am writing, I might like to finish writing a chapter, scene or sequence in a character’s voice. But the ring of the Pomodoro interrupts my train of thought. 2. As many of us know, the lives of wives and mothers are highly unstructured. To impose this structure on them seems difficult, if not impossible. As I have not been blessed with children yet, my time is still relatively mine. I just get a little busy with housework and cooking. 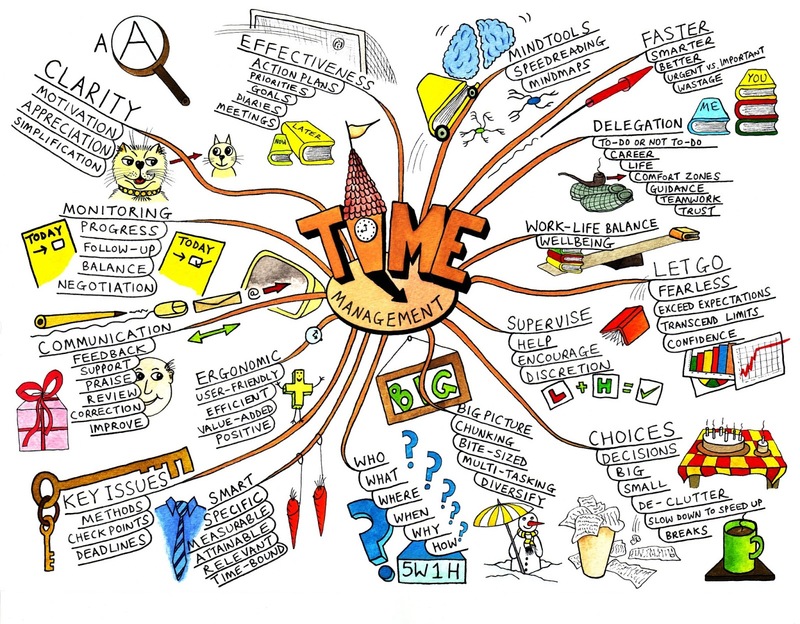 I have found breaking up my time into Pomodoros works wonderfully on most tasks but I use it with caution and extend the Pomodoro to 45 minutes or even 1 hour with activities that require contemplation and flow rather than concentrated bursts of attention. When I become a mother inshaAllah and my life goes a little haywire, I hope to reduce that Pomodoro to 10 or even 5 minutes. 5 minutes of writing is better than zero minutes of writing. 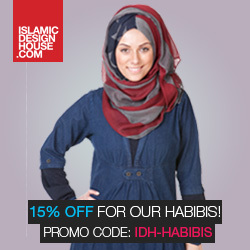 Our dear readers who are mothers, please let us know how it works inshaAllah. Those of us who are not mothers yet are keen to know how you find time for yourself with a bundle of joy on your hands. I hope inshaAllah you can use the Pomodoro technique to great benefit in learning the Deen and certain Dunya-related tasks. Anything wrong in this article is from me and anything beneficial is solely from Allah subhaanahu wa ta’aala.